“Dare to Share” promotion… Starts NOW! Being daring can pay off…and so can sharing your feedback about Masonite® Safe ‘N Sound® solid core doors! 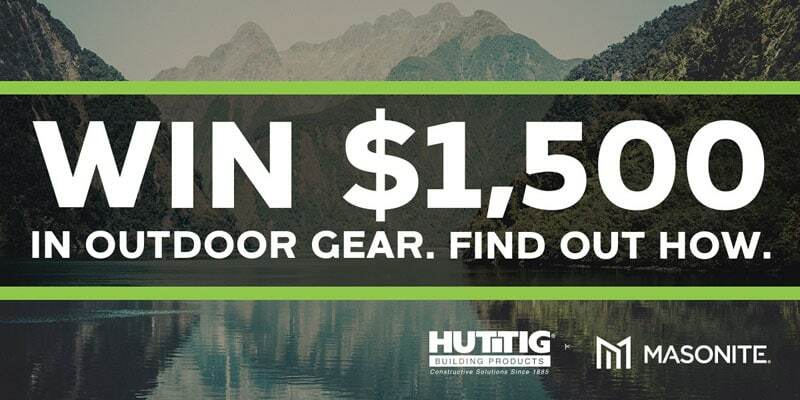 With the “Dare to Share” promotion, running now through 09/29/17, all you have to do is visit www.huttig.com/share and share your feedback and you could win a $1,500 gift card to BackCountry.com. So go ahead, share a little—we dare ya’. Homeowners today are looking to create a peaceful retreat that is a reflection of their personal style. Making the move to solid core doors is a simple, cost-effective way to help achieve their vision. We’re on a mission to put solid core doors in every home – a difference that is clear the moment you open the door. The more substantial feel of Safe ‘N Sound solid core doors create a dramatic improvement in overall perceived quality at a minimal price increase over their hollow core counterparts. Safe ‘N Sound solid core doors are better able to withstand the dents and dings associated with normal wear and tear. They also block sound more effectively, making them a must-have for master bedrooms, laundry rooms, media rooms, bathrooms, home offices – any space where privacy is key. Come in or give us a call, we have an extensive selection of Masonite Safe ‘N Sound solid core doors to choose from.